Updated: December, 2018When you’re offered a role as Superman you better believe it’s time to get Superhero Jacked! And now that Henry Cavill has been Superman for long enough, we have even more resources to cover regarding his transformation. 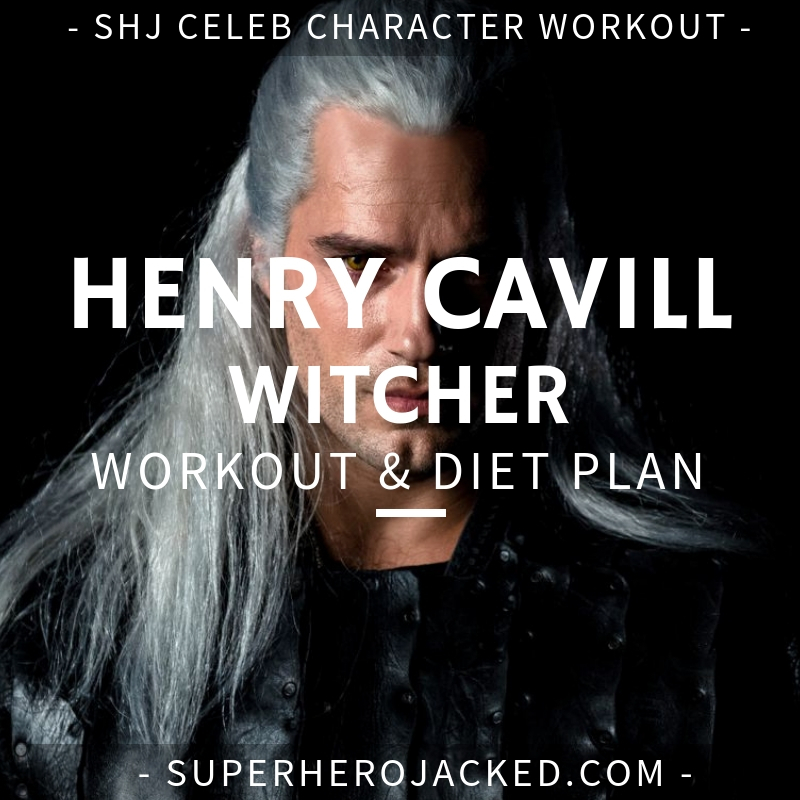 Henry Cavill was absolutely shredded for his role as Theseus in Immortals, but then got completely jacked up for Man of Steel, stayed jacked for Batman V. Superman and Justice League – and now he’ll also be playing Geralt from The Witcher in a Netflix Original Series that is sure to be awesome! Or at least I’m hopeful, especially considering that’s the series we’ve been reading for Book Club. Henry Cavill is actually right at the average height amongst celeb males we’ve seen. Right with all our “Chris” celebs that have played superheroes. It was definitely time for him to put on some mass and start looking like Superman. We’ll cover the full diet and workout regime in a bit, but first let’s take some quotes from Cavill and his trainers interview with Muscle and Fitness. Few men, especially Hollywood leading men, appreciate being told to forget their nightlife and get to bed early, but Twight couldn’t have been more clear. “It’s like, ‘Hey, guy, you want to be f—king Superman? Then do this one other thing, which might be the most important piece of it,’” Twight says. “If you don’t get the sleep, if you can’t recover, then we can’t continue with this training and we won’t achieve the objective. When you’re training like an athlete and looking to gain weight and continue going at the intensity level and volume that Cavill was training at, it’s SO important to recognize your recovery and sleep patterns (directly related). 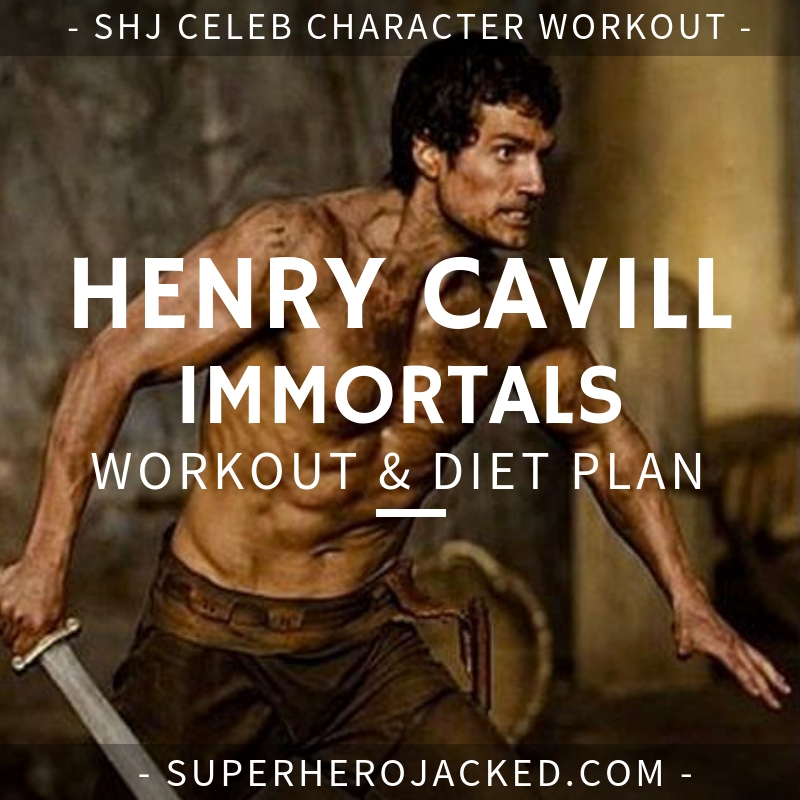 By the two-month mark, Cavill was training twice a day and shoveling 5,000 to 6,000 calories into his mouth, with no regard for the macronutrient profile. 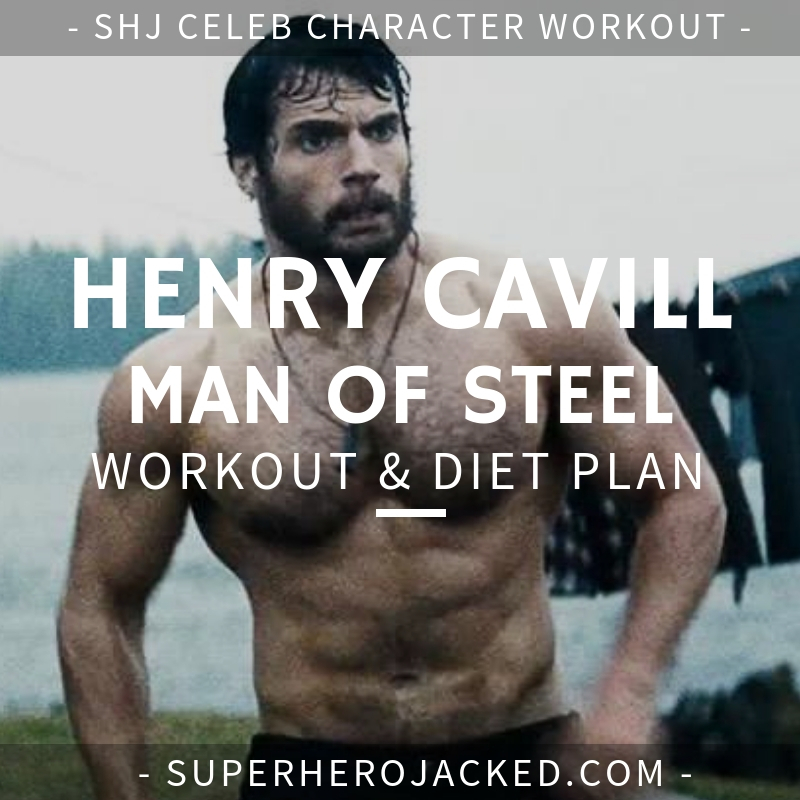 Cavill gained 20 pounds during this time, then saw his carbs limited and calorie count cut in half as the start date approached. Cavill was not only restricting his carb intake but he was also training twice a day at a high intensity level. That being said, his body was able to burn through the carbs he was using as fuel, and then continue by burning through fat. The frames of the movie say it all. 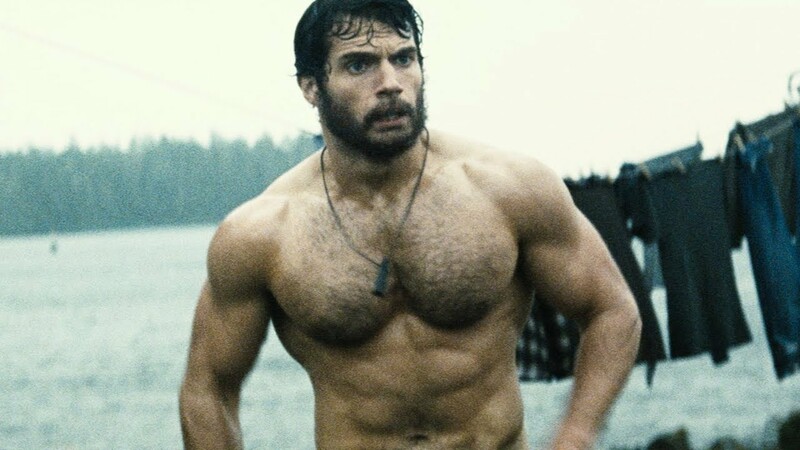 Cavill weighs between 186–190 pounds with an average of 5–7% body fat for most of it, but got down to around 3–4% for his shirtless scenes. Lower than 10% body fat is no joke, and Cavill was able to take that to the extreme. So he utilized calorie counting, for the most part, like we do our Superhero Programs, while also restricting carbs and going from a really high surplus to then swapping to a large calorie deficit. We see a lot of celebs opt for a sustainable approach when it’s time to hold their physiques for a longer duration. We’ve also seen a lot of celebs opt for specific restrictions. 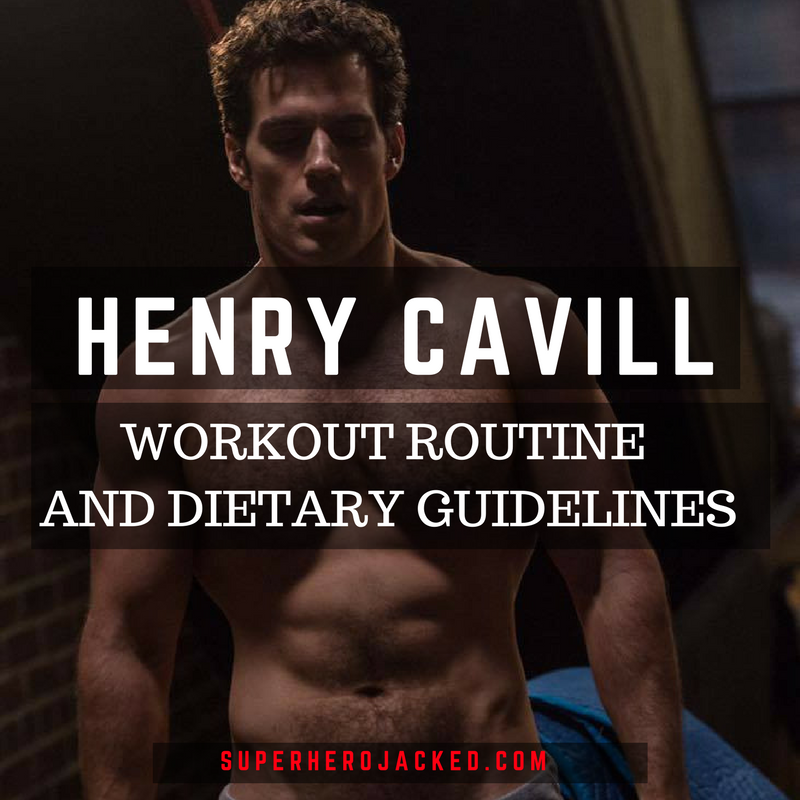 I’m going to be including some video footage of Cavill’s workout, as well as the quotes I’ve already utilized, but I also want to pack in any extra quotes that have come since I originally put this routine together for you. 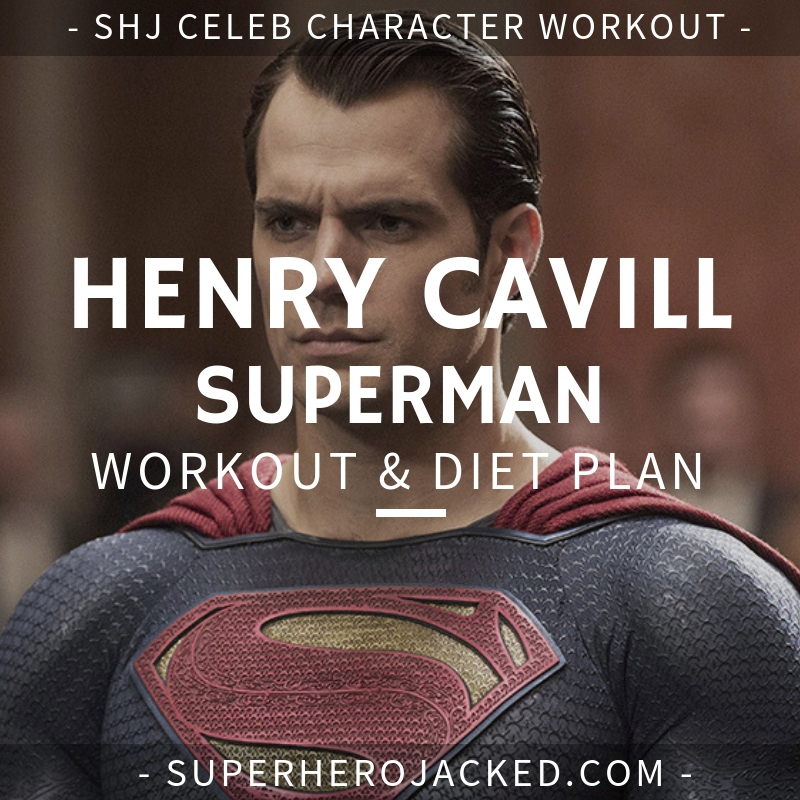 The workout that I have below is a high intensity workout that Cavill utilized for his role as Superman. He also chooses to maintain his physique and find a more sustainable approach as well sometimes. “Henry’s goals during The Man From UNCLE were to maintain weight, fix some mobility issues, develop some tolerance for higher workloads and to some extent injury-proof as much as possible,” says Michael Blevins, who drilled Cavill for Batman v Superman and picked up from Mark Twight towards the end of the former. 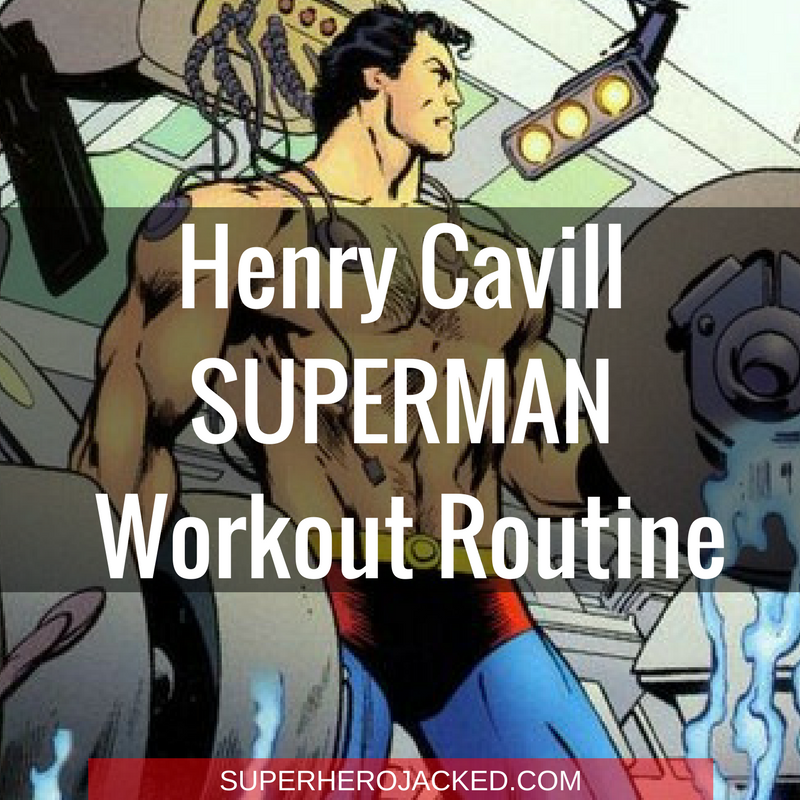 Don’t worry, they also share the maintenance day with us, which I’ll be utilizing to make version two for Cavill’s workout routine. And Men’s Journal put together a compilation of Instagram posts from Cavill’s account that do a good job showing us some more information I’d love to share. One thing that is immediately apparent is that Cavill grew a love for Brazilian Jiu Jitsu, which he trains under the Gracies gym. We LOVE mixed martial arts styled training at SHJ, so incorporating this into our regime is definitely something we like to see. He’s also been shown doing heavy hip thrusters, dumbbell goblet squats, olympic styled weightlifting, cable work, and so much more. It’s important to realize that celebrities swap up their routine a lot when making their way through their career, so this update is going to try to give you both sides of that bill. On top of that, it’s important to note that he ups the intensity a TON when he’s specifically doing a bulk into cut for an upcoming role. Have fun, we’re not trying to kill ourselves…We’re just trying to train and feel like Superheroes. Our morning routine is then going to consist of the Spartan 300 WOD. We will be doing different formats of it each morning for 4 days. Light Front Squats: 50 reps at 45-65 lbs. I bet you were getting sick of all those reps, especially after I already had you winded with the warm-up! Well now it’s time to start lifting heavy so get ready people! Our Afternoon Routine will then consist of heavy lifting on specific days. I suggest trying to get a rest day in the middle of the week as well as the weekend to achieve full recovery. I’m going to be giving you Cavill’s maintenance workout, but I’m also going to be building a full week’s worth based on the new research that has come out, and also what Cavill shares himself doing on his own Instagram. The core of this training will be a 3 day split, with 2 days of MMA added in on top of it (Cavill trains at Renzo Gracie Jiu Jitsu gyms). The addition of the maintenance day is if you want to add in an extra (light) day to your training to step it up a notch to a total of 6 days. Henry Cavill trains with the Gracies. And he goes pretty hard for it! He’s been posting training for a while now, and he’s definitely passionate about it. But, it’s not just for self defense that we have to think about this (although all SuperHumans should be able to defend themselves). It’s also a GREAT workout. Just as Coach Derek inside The Academy. So, you can also hit some Brazilian Jiu Jitsu at a local gym, OR you can use some of the workouts we have created for MMA right here on the site. Check out programs on the site from Coach Derek here: Moon Knight, Deathstroke, Daredevil. The Parkour Workout (Nightrunner) designed by Academy member Felix. Every 2 mins hop off the treadmill and perform 20 push-ups, before jumping back on. Be careful not to face-plant. Set the bar with 85% of you max lift. Perform one lift every 30 secs over 10 mins. Reps: 20 or until failure. Rest 30 seconds.